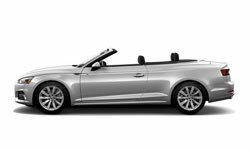 The 2018 Audi A5 Cabriolet from Audi San Diego in California, serving La Jolla and University City, makes you want to take a joyride around town. 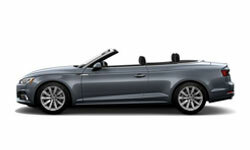 Let loose and let down the convertible top of your Audi A5 Cabriolet. There's no reason to hide from the sunshine or shy away from the wind because you've got an adventure on your mind. Flowing shoulder lines and a widened SingleFrame grille capture all the attention. Push down the gas pedal and you'll enjoy 252 horsepower coming from the 2.0L TSFI engine. Modern amenities flood the cabin with technological advancements for the present-day driver. The smartphone interface hooks up to your mobile device and the MMI touch uses handwriting recognition technology to control everything with ease. An available Audi Virtual Cockpit adds a massive 12.3-inch info cluster with Google Earth and Google Street View. Today is a great day to buy a new 2018 Audi A5 Cabriolet! We have a great 2018 inventory, so call us today at 866-980-4112 to schedule your test drive or visit our showroom at 9010 Miramar Road, San Diego, CA. We can't wait to put you in the 2018 Audi A5 Cabriolet of your dreams! 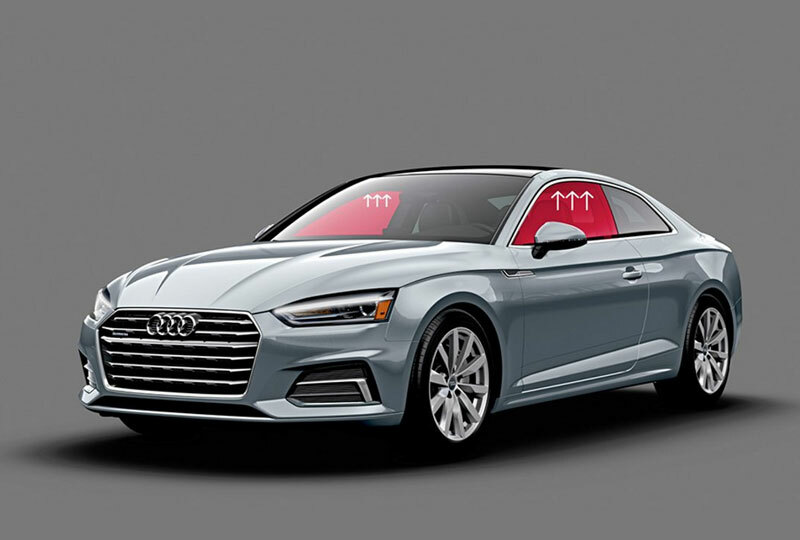 The sharp, precise wave-design Shoulder line and pronounced wheel arches highlight the standard quattro® all-wheel drive, while rear horizontal design lines and integrated brake lights accentuate the vehicle width. With a folding roof that can be raised at up to 31 mph, the A5 Cabriolet is the perfect balance of form and function. 252-hp turbocharged engine with 273 lb-ft of torque. 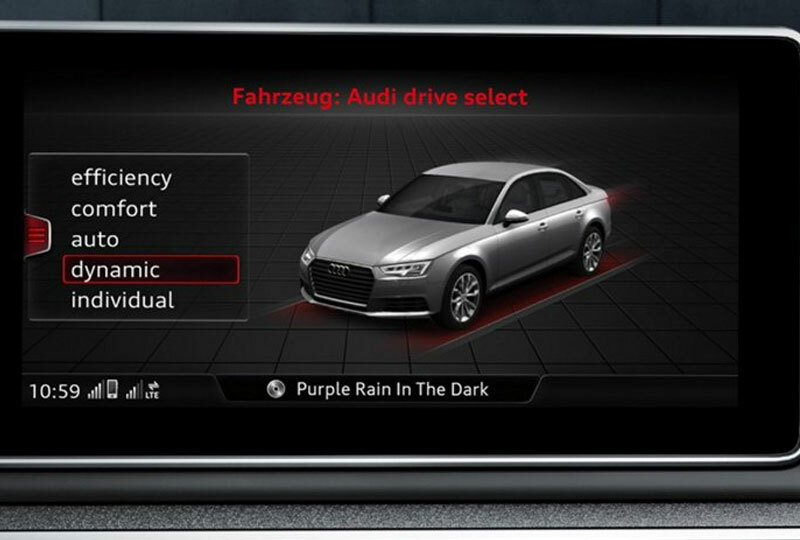 Audi drive select driving modes. Shift-by-wire gear selection. 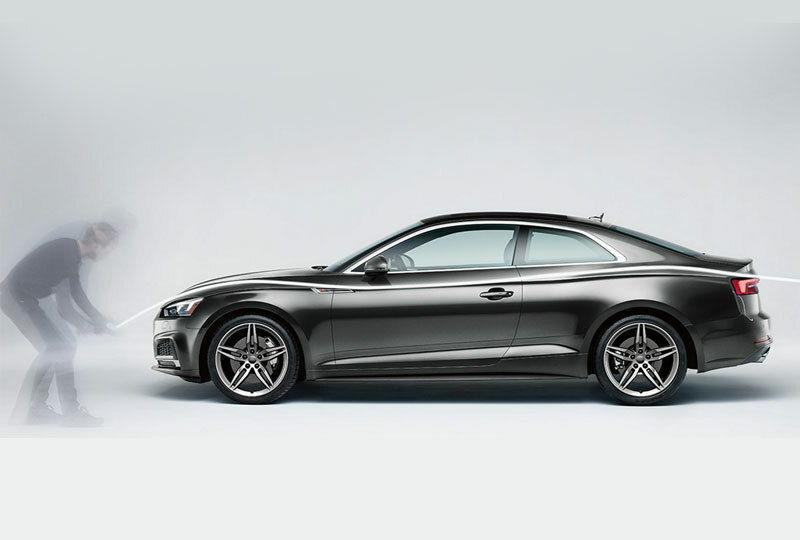 Every Audi A5 is designed to deliver an elevated feeling of control, be it in traffic or on your favorite back road. The available full-color head-up display can project relevant information regarding the car's speed and navigation directly onto the windscreen. In the case of an impending collision, standard Audi pre sense® basic can intervene to prepare the vehicle for impact. This process includes beginning to close the side windows, pretensioning the front safety belts, and preparing the brake system for a quicker response during an unexpected or emergency maneuver.